The Second Edition of this unique pocket field guide has been thoroughly revised and updated to include advances in physical volcanology, emplacement of magmas and interpreting structures and textures in igneous rocks. The book integrates new field based techniques (AMS and geophysical studies of pluton shape) with new topics on magma mixing and mingling, sill emplacement and magma sediment interaction. 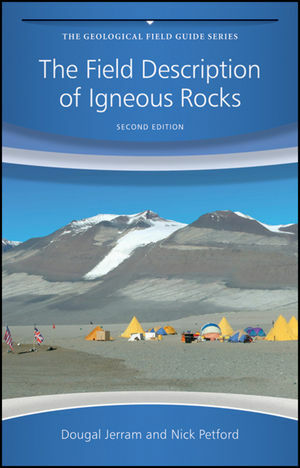 Part of the successful Field Guide series, this book includes revised sections on granitic and basaltic rocks and for the first time a new chapter on the engineering properties of igneous rocks. The Geological Field Guide Series is specifically designed for scientists and students to use in the field when information and resources may be more difficult to access.